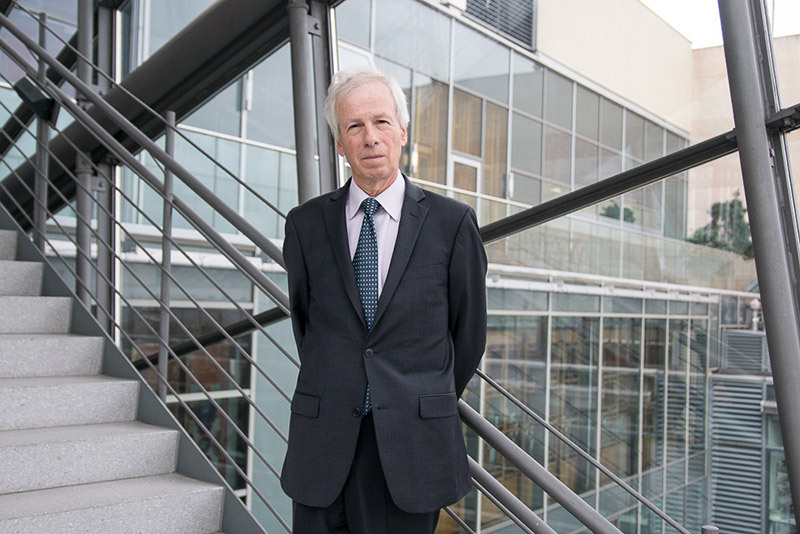 “Working shoulder to shoulder” - Interview with Canadian Ambassador Stéphane Dion - Atlantik-Brücke e.V. The Honorable Stéphane Dion, Canadian Ambassador to Germany and Special Envoy to the European Union and Europe, speaks about the German elections, transatlantic cooperation, immigration and integration and CETA. The most pressing issue on the table right now for Germany is the outcome of the elections. What has been the feedback in Canada to the German election results? Canada was really comfortable with the two front runners. The Prime Minister has a strong relationship with Frau Merkel and a good relationship also with Mr. Schulz. The relationship between Canada and Germany is so positive. We work shoulder to shoulder around the world. German has been supportive of the free trade agreement between Canada and the EU. Frau Merkel now needs to find a coalition government, and the parties that she will negotiate with are also completely acceptable for Canada. From that point of view, we are very pleased that the winner is a friend of Canada. One of the big issues here in Germany in the election was the relative success of the right-wing AfD. Many pundits have commented that this was due to fear of the current big wave of immigration. Canada is very successful at integrating immigrants into society. Are there are any lessons that Germany could learn from Canada? We are always pleased to share our experience with our friends. Prime Minister Trudeau is convinced that diversity is a fact. Our population is aging. The work force is coming from other continents. And then, inclusion must be the choice. Because if there is no inclusion, there will be xenophobia and populism and that is not a good, not the right path. That being said, we are not here to lecture anyone. If you want to see how we do it – in a completely different context –, why Canada is strong not despite but because of its diversity, we are happy to share all the experience we have. In Europe and especially in Germany there is a lot of curiosity about the way we deal with these issues. It is a core part of Canadian identity. There is no need to copy our Canadian experience exactly in Germany or elsewhere. But maybe the Canadian case can be a source of more optimism about the capacity to integrate people from all over the world. You mentioned the trade agreement between Canada and the EU, which has just provisionally come into effect a few days ago. Especially in Germany, there have been many critics of the agreement. Many people are worried that it might hurt consumers. What words of reassurance would you offer these critics? We are not at all going to have a race to the bottom regarding workers’ rights, food safety, the environment. To the contrary, the agreement is very strong on that. The ability of the government to regulate and of parliament to legislate for the common good is protected. In fact, we will show our populations in Germany, in Europe, in Canada, and in the world, that we should never choose between trade and progress. We should bring them together and that is what we have done through CETA. And now that the tariffs are gone, now that we have the implementation of the agreement, I am convinced that many people will see that the sky is still blue and they did not need to be so nervous about it. We work together, confident in the new opportunities that this market has to offer. Canada for Europe and Europe for Canada. Let us shift focus to your neighbor to the south. Since the new U.S. administration has come into office, the tone has become somewhat confrontational; old alliances are not relied upon as much as they used to. What does this mean for Canada and for the European-Canadian relationship? One of Canada’s roles in the world is to encourage our American friends to work within the multilateral institutions of the world and not try to isolate themselves or try to rule the world without allies. While cultivating a strong relationship with President Trump, Prime Minister Trudeau makes sure to point out that multilateralism is the way to go. Our national interest is linked to the interest of other countries. The countries of the European Union are among them. Canada is strongly supporting the integration of European countries in the European Union and we are making this point frequently with the president of the United States and his entourage. We have a lot of support in American society. It’s the same with trade. Protectionism is not the solution and we are making this point very clear. The fact that we have a strong support here in Europe with Angela Merkel and the other leaders is a great help. As Ambassador to Germany and Special Envoy to the European Union and Europe, what is at the top of your agenda? Our priority is to make sure that the free trade agreement will be a success, to create jobs in Canada and in Europe and to show the world that yes, we need to trade and we need to be open to progressive policies and to sustainable solutions for the environment. We should not miss this opportunity. The environment, cultural policies, social policies, the social framework, all of this will be enhanced. When you speak to friends in Canada these days, is there anything about Berlin that you find so remarkable that you always point it out to them? What I find remarkable is that I have failed to meet one person, only one, who is unhappy to be in Berlin. Berlin is a city where you have all the advantages and none of the inconveniences of a big city. You have the arts, you have the beauty, you have the parks, but you don’t have a cost of living that is prohibitive, the traffic is still relatively acceptable and people are not as stressed as you see in the other big cities in the developed world. I think it is fantastic to be in Berlin.